If you offer juice or other specialty drinks at your restaurant, hotel, or other business, you need to have the right equipment to provide your customers with the tasty hot or cold beverages they want. These unique drink dispensing machines help your provide variety to your menu and appeal to more tastes. What's more, they are convenient to use and can easily be positioned on the countertops in service and self-service areas. We offer an assortment of products, including orange juice machines, frozen beverage machines, gourmet juice systems, and other quality drink dispensers. 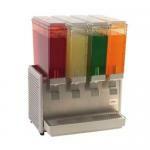 Browse our great selection of electric cold beverage dispensers and bubblers. 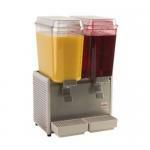 These beverage dispensers and bubblers are ideal for juice, punch, lemonade and more! 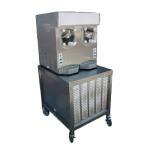 Browse our huge selection of frozen beverage dispensers. These frozen drink machines are perfect for non-carbonated drink products. Countertop models. 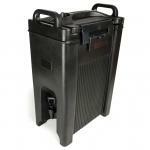 Here is our pick of insulated beverage dispensers. These insulated beverage dispensers are offered in a variety of styles including stackable Camtainers. 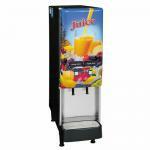 Here you can choose from a great selection of gourmet juice systems. These refrigerated juice dispensers are perfect for self serve breakfast bars and buffets.